The salary of Tutors of kindergartens in large cities was significantly increased in the last few years. For example, in Moscow it is an average of eighteen to twenty thousand a month. In addition, educators have a great vacation and a comfortable work schedule. To be hired as a tutor in a kindergarten, you need to obtain pedagogical education. It can be both the highest and the average. Training in colleges takes place within three or four years, in Universities - five-six. Although the salaries of teachers are rising every year, while in the kindergartens there is a shortage of staff. So you can easily get a job in a preschool, even without experience. At first the beginner will be to help senior tutor will bring up to date techniques that will help to adapt to children. 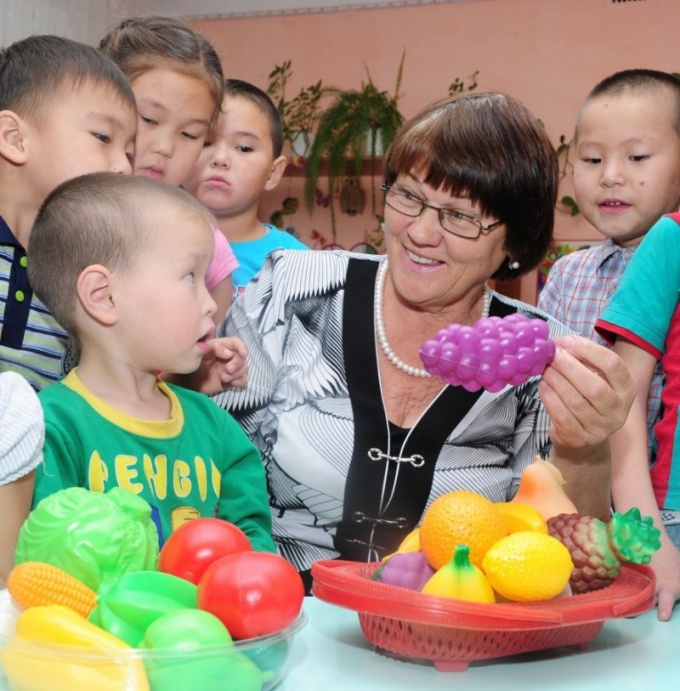 Jobs of kindergarten teachers often publish on its website the district Office of education. Well as information about free places is transferred to the labour exchange. It there the easiest way to find the right job. To get a job as a tutor, contact the Department of education or to the labour exchange. Make an appointment. Bring your a diploma of education and employment history. If you received additional training associated with pedagogy - grab a certificate of completion. At the labor exchange and the Board of education will provide you with a choice of several vacancies. Go to nurseries and talk with the executives to understand what primary school is best for you. Try to choose a garden closer to home. The job of a caregiver starts at seven in the morning, and if the road to work will be long, have to get up very early. Without pedagogical education you can get in kindergarten the assistant teacher. The salary is a little less and work schedule is different every day from eight in the morning until five in the evening. While caregivers work in shifts, from seven in the morning until two o'clock, or two o'clock in the afternoon until seven in the evening. If you are not too experienced caregiver, ask them to place you in the older group. The children are already familiar with the rules of the garden, they will be able to tell you something, unlike toddlers.